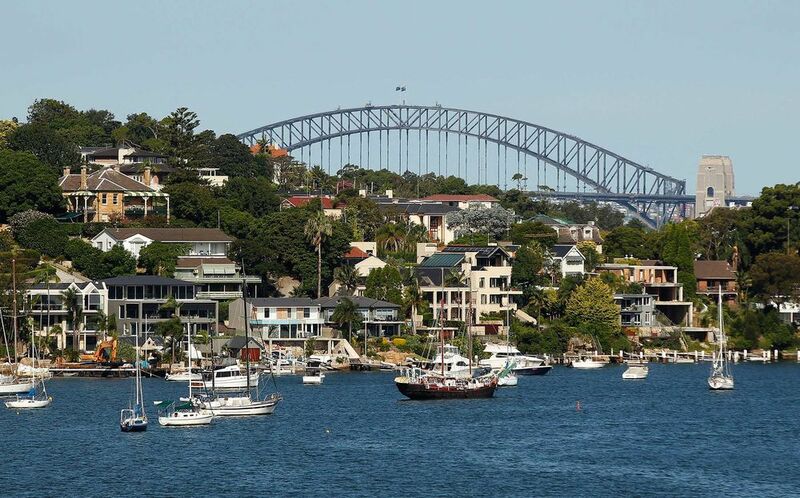 House prices are falling in Australia, down almost 3 percent in the year through August in major cities, and 5.6 percent in the Sydney market. Meanwhile, three of the nation’s four major banks raised mortgage rates in recent weeks, blaming higher funding costs. The increases came even as the central bank leaves official rates at a record low. 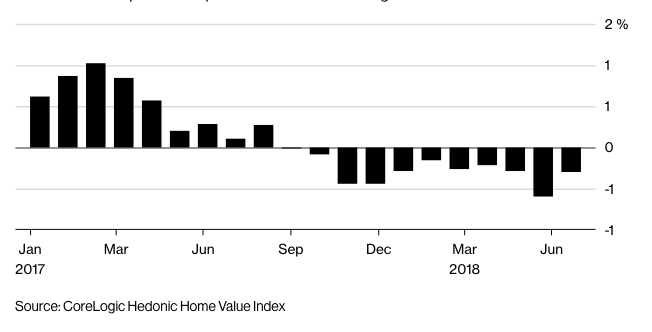 Australian house prices slumped for an 11th month in August. Oxford said it compared markets across OECD countries from 1970 to 2013 and found a clear negative relationship. 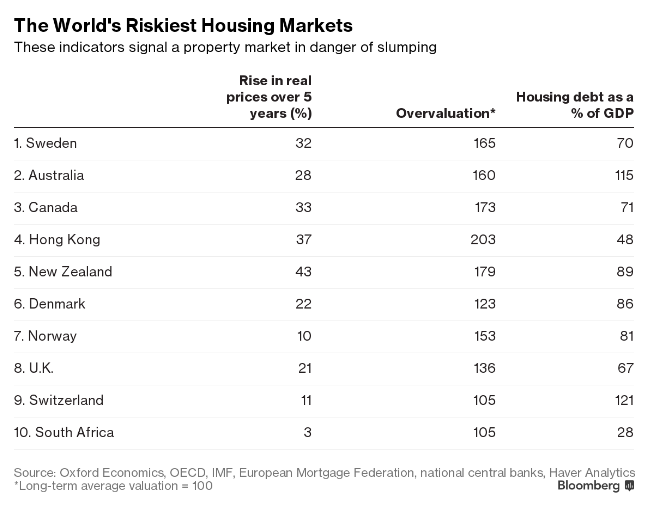 Where valuations had risen 35 percent or more above the long-term average over that period, real house prices fell 75 percent of the time over the following five years, it said.